The day has finally come! 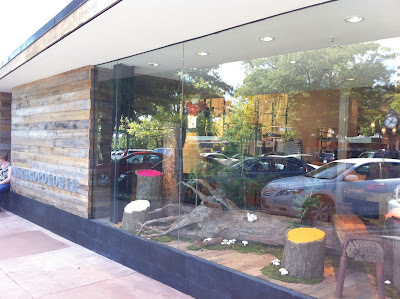 The new Tulsa Anthropologie opened this morning! I picked up the husband for an early lunch so he could check out the store with me and we were there within about 5 minutes of the doors opening. Goodness, what a happy and inspired atmosphere. 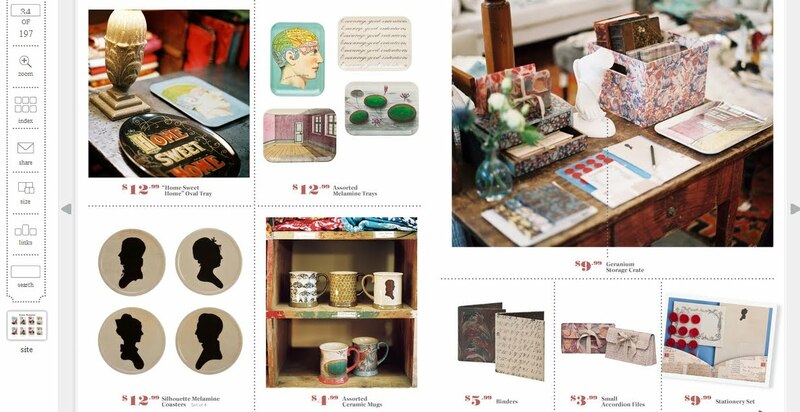 One of Indie Emporium‘s talented vendors & designers, Mr. Tony Li and the Anthro crew were responsible for these displays – and I think they had some help from a few other IE vendors. What a talented crew! 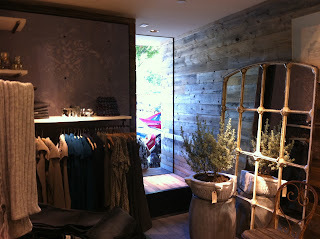 And the staff was all so sweet and friendly. We shopped around for a while – so many lovely things to take in. I’ve had a kind of crummy, stressful week, so this was a great way to segway into the weekend. I ended up taking home a few new lovelies for the kitchen. 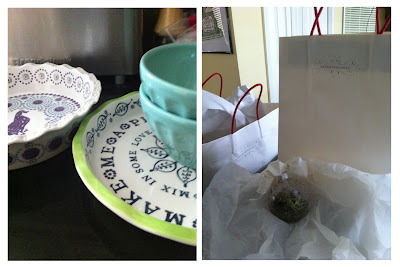 A pair of seafoam Latte Bowls and 2 fancy pie plates. I think I fell in love with the Happy Filling pie plate from the description on the Anthro website “Rhubarb, blueberries and pecans alike will appreciate the company of a gregarious duck and laughing suns during their warm bake.” – How charming. I really think I’m going to need the ceramic rolling pin too, but I stuck with just the pie plate for now. It ended up being on sale for just $14! Of course, since I was saving a few dollars there, the husband said it was alright to splurge a little and get the other one that I was trying to decide between. I hadn’t seen it before on the Anthro site, but it’s so sweet. It says, “make me a pie, bake me a tart, mix in some love, with all of your heart”. I’ve been feeling really nostalgic these past few days, and missing my dear grandmother a lot. She made so many pies and treats and these sort of reminded me of her, so I’m sure they’ll be special for a long time. Also, for being one of the first 50 customers, we got a lovely little terrarium ornament. I’m going to have to find just the right place to hang this little guy. What a happy little treat! Other than that, life has been looking a lot like this..
I’ve tested lots of new inks, and lots of linens and think I’ve finally made my decisions on what is going to be best for my new designs. The prints above are just some random samplings – you might recognize a Lotta Jansdotter print or two up there, so clearly those aren’t the prints I’ll be selling next month, just some screens I was testing with that had leftover designs of some cloth napkins I made for myself. Goodness, I’m going to have a few very busy weeks of printing ahead. 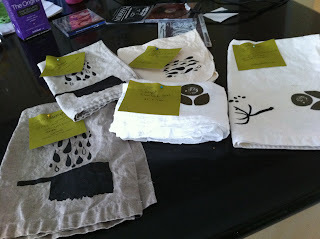 The husband has been worried that I’m not going to get everything done before fall shows start (October 29! ), but I do my best work when I have a looming deadline. 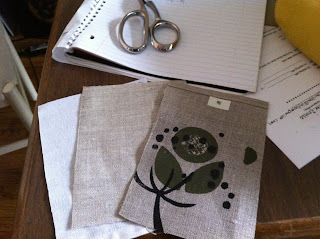 I’m also working on a custom order for 4 prints inspired by the work of Eva Zeisel. I’m going to commit some time to that this weekend. Other weekend plans include seeing the Smashing Pumpkins (tonight! 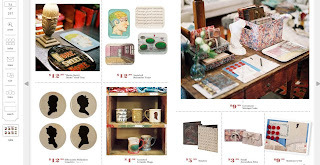 ), helping my mom out with her garage sale tomorrow morning, making a trip to Brush Creek Bazaar to see a few friends who are setting up there, working on all of these new designs, printing Indie Emporium swag bags, homework, and perhaps (hopefully!) 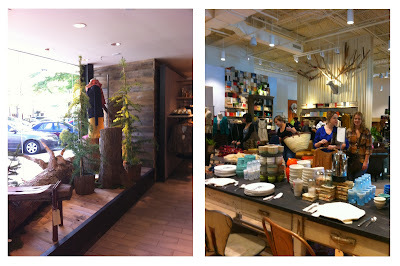 a visit from Miss Samantha Lamb for another trip to Anthropologie. 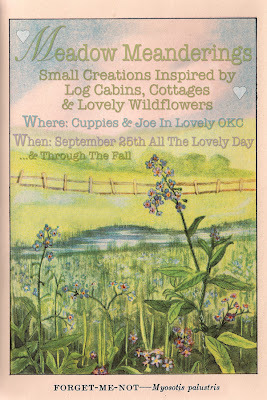 She had a tough week – for any of my OKC friends, please go to Cuppie & Joes tomorrow for her Meadow Meanderings show. 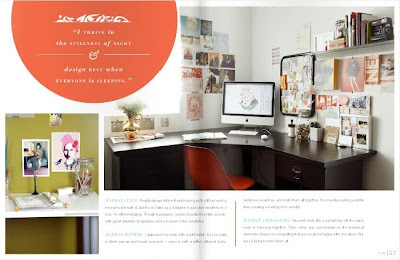 I’m so happy that there are going to be some lovely design magazines coming back into my life! I’ve missed domino oh so dearly, as I’ve posted about a lot. 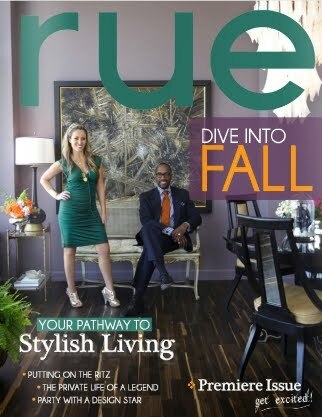 So, first up, I’m really excited about Rue Magazine. Their premier issue just hit stands the web this week. I’m looking forward to finding some time to sit down and browse through the whole thing in depth. 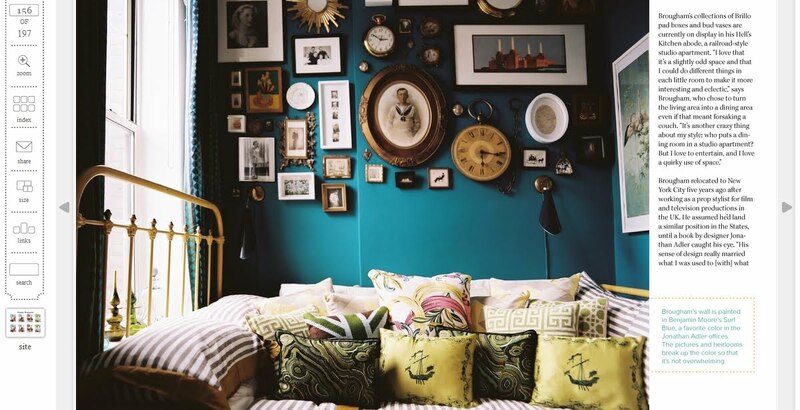 I haven’t really gotten into the online magazine thing yet (yeah, I know I’m late to the game there), but goodness, just browsing through the first few pages has totally changed my mind. Love it! So effing cool (yeah, so cool it makes me want to use naughty language!). Clicking on photos and being directed to the website where I can buy it?? This is going to make paying off my credit cards a lot harder. Seriously, how ingenious is that? And, bonus, the first issue has an article about Emily Henderson AKA thebrasspetal AKA my favorite Design Star contestant ever! Which reminds me, when will there be another episode of Secrets of a Stylist? Next up, Anthology! I’m a little beyond excited about this.. and I have to admit, this is the one I’m looking forward to most. 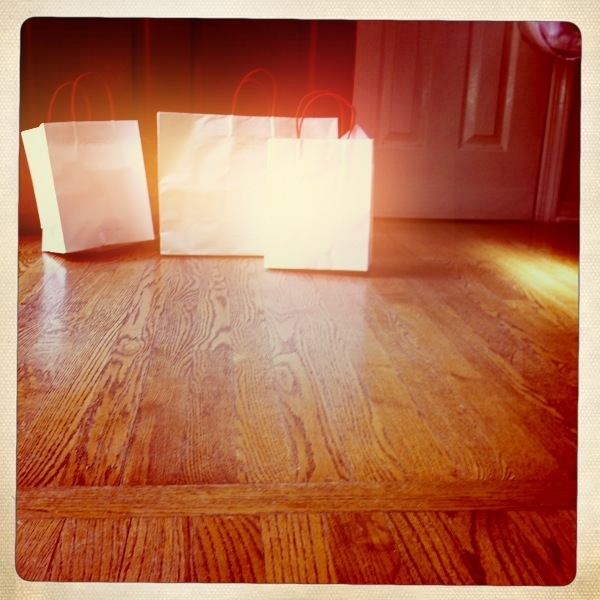 Because it is going to be real print magazine and because it looks *beautiful*. A magazine that I can keep in my purse to read through anytime I have a few minutes waiting somewhere. Or that I can take to bed with me to read. Or the bath. I do miss real print. And how much do I love this video? A lot, that’s how much. I don’t think that Meg Mateo-Ilasco can do anything poorly. I’ve blogged about how much her books have helped me prioritize and was already in love with Anthology after that little stop motion video, but once I learned that she is the Creative Director, I knew that this magazine was going to be amazing. Lastly, is Lonny. 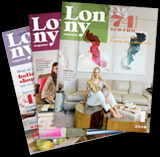 Lonny is being offered digitally AND in print. Which is awesome, but the print copy is a bit pricey – $34 for the current issue. I totally understand though – they are printing on FSC certified paper and printing on demand. I just don’t think I can quite spend that much on a magazine until I know it a little better, so I’m going to check out some issues online only and re-evaluate. Of course, it might be something good to ask for with the holidays approaching. 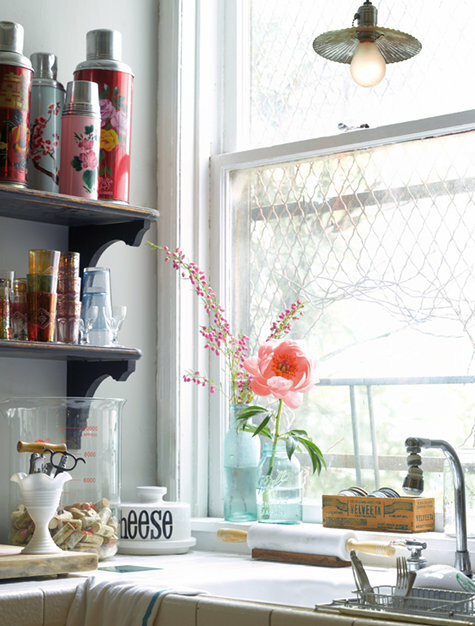 It can’t hurt that one of the first things I noticed in it was the new John Derian collection at Target. 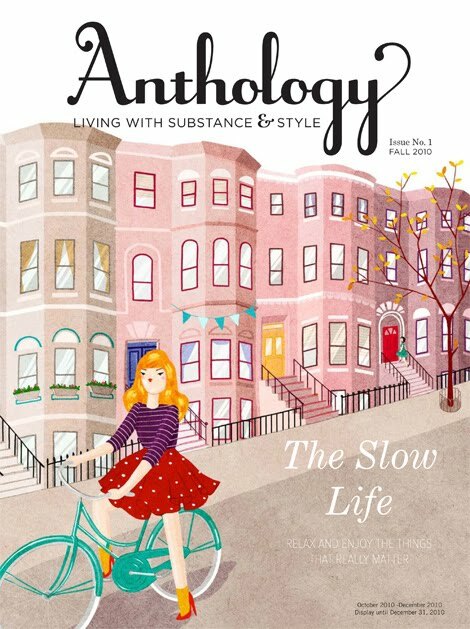 Inspiration is running high around here – fall is in the air, lots of new pretty pages to browse, Indie Emporium next month, AND, Tulsa’s Anthropologie is opening NEXT FRIDAY. Life is good.